There are probably more senior community jobs than ever before. But many experienced community pros struggle to advance while remaining in the profession, because many organizations fail to prioritize community. This leaves it under department heads who don’t want to scale it and only view it as a low paying role for junior-level people. 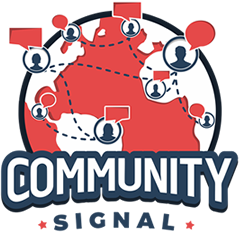 00:04g: You’re listening to Community Signal, the podcast for online community professionals. Tweet as you listen using #CommunitySignal. Here’s your host, Patrick O’Keefe. 00:20 Patrick O’Keefe: Hello, you have reached Community Signal. Please leave a message after the beep. Beep. My lame joke aside, [chuckle] thanks for tuning in for our first episode of 2017. This week we’re chatting with Alexandra Dao about the lack of advancement in community management, how to shift from community to other departments, and why you need usability testing. Alex is a user researcher at Vimeo, and previously worked in community management for eight years with a focus on community engagement, product feedback and usability. She co-founded We Support NYC, a resource for New York-based community and support managers. Her proudest achievement to date was coining the term “dronie.” Alex, welcome. 00:58 Alexandra Dao: Hello, thanks for having me. 01:00 Patrick O’Keefe: It’s such a pleasure to have you. And one reason for that, as I said when I had Carol Benovic-Bradley on the show previously, I’m a big fan of We Support, it’s become my favorite community resource. 01:10 Alexandra Dao: Oh, wow. Thank you. That’s very kind of you to say and there’s the mutual admiration club that’s happening here. 01:15 Patrick O’Keefe: [chuckle] Well, I appreciate that. Yeah, I look forward to those emails every week, not just blowing smoke here, it really is a great resource. So thank you for creating it. 01:23 Alexandra Dao: Thank you. Well, thanks for reading. 01:25 Patrick O’Keefe: Since August, you’ve been the senior manager of research and customer insights, at Vimeo, after working in community there for a little while. But it seems logical that research and customer insights for a video-sharing platform would rely heavily on the community and its data. Talk about how your interaction with the community has changed since you made that career shift. 01:49 Alexandra Dao: Yeah, so part of my role in research and customer insights is conducting usability testing. So I had actually started doing that when I was in community. So my role in community was more focused on community engagement, but also just product feedback. So because I had previously done usability testing at other roles, it was something that I wanted us to start doing at Vimeo, as well. So I just started doing it within community, and this has kind of been a very natural shift to focusing on that full-time and also learning some new things like writing surveys, and coding survey responses, which is not something I’d previously done. But it is very much in the vein of collecting user feedback, and packaging it in a way that is actionable and makes sense to our product team, and helps them to figure out next steps. 02:38 Patrick O’Keefe: Do you feel like someone who is doing this work, user research, customer insights… Do you feel like a community, I don’t know, grounding, especially at a company like Vimeo, is helpful to that work? 02:49 Alexandra Dao: Absolutely, yeah. What was nice when I transitioned to the business insights team to focus on user research was just the depth of my knowledge of the product, and our community just from my time in community. So I’d been on the community team for four years before I switched over to research, so that definitely helped that we would send out a survey and we’d maybe ask, “How often do you use this product, and what do you think about it?” And then with the way users would describe it, it’d be like, “They don’t know which product they’re talking about because I know the product doesn’t work that way.” And so that always to helps to have sort of that vetting of the feedback you’re getting, and also to have a deeper understanding of how people use your product from the years of support in community engagement that I did on the community team. 03:35 Alexandra Dao: And I think a community focus in every role in every department is really important, so we’ve had a number of people transition from the community team into other departments. And we always see that as a win, because it’s kind of like getting your people all over the company where they can bring that community focus. Hopefully the whole company is community focused, but I think their just adept to the understanding of the community that comes from doing support and community engagement, for sure. 04:04 Patrick O’Keefe: That ties in really well to something that you told me before the show, which was that you’ve noticed that, “There is a very real ceiling in community management which is why you see so many people pivoting from community to product management, project management, content marketing and user research,” like you. And you continued, “The most senior roles usually involve managing a support team, which is not what every community professional aspires to do. Unfortunately, most community roles that you come across when you’re curating We Support’s newsletter are entry-level positions.” And I’m someone who is looking for either a remote role, or a role in NYC in order to move, to be closer to my girlfriend who lives up there, and I’m looking for senior roles. And I think there are probably more than ever before, taking a long view, because I’ve been in this space 20 years, taking a long view there’s probably more than ever before. But to your point, maybe nine out of 10 community roles are not senior and five out of those 10 pay like they want someone fresh out of college or worse. And so, was your shift driven by the fact that you wanted to graduate to something more senior community level but couldn’t find it? Or is this just where you were going anyway? 05:08 Alexandra Dao: It’s a little bit of both, maybe. I think I really enjoyed working with product and our design team, and being kind of looped in early on on new things we were working on, which really happened more often when I was doing usability testing. So, I guess that part of my role felt very impactful, and on the community engagement side, I was a people manager on the community team, we have sort of in place our community engagement strategies, so it was a lot of maintaining and keeping them going and maybe delegating, and managing and that sort of thing, which is super important and rewarding to do, but I kind of liked how on the research side it was project-based, so it’s like you do this and then you move on, and there might be some kind of tangible outcome, [chuckle] based on what you find out so, that part I really enjoyed. And yeah, a little bit strategically thinking about, “What’s my next move?” I’ve been at Vimeo for five years and really have enjoyed working there and still enjoy working there, and love my new role. But yeah, you always have to think about, “Okay, what’s next and what’s out there?” And just through curating We Support, I’m looking at job descriptions all the time, which I think is also just a good practice for everyone to do. 06:23 Alexandra Dao: Right. Well, that too. But yeah, I don’t know… And I’m curious if you’ve noticed… Maybe it’s different in San Francisco versus New York. I feel maybe the community landscape might be a little more mature in San Francisco, I’m not entirely sure. But from what I’ve seen, there’s not a lot of head of community roles, and purely community and not support. I think a lot of people who do a lot of support, which is very important work, at some point, might burn out. It’s not for everyone to do support forever. So that’s something that I’ve kind of, I’ll be honest, I’ve been pretty frustrated looking at, because it doesn’t look like there’s a lot of growth in that career past a certain point. And there are only so many companies that I’m aware of that do have more senior roles for community. And they tend to retain people for a long time because those are the roles and they know that. So I guess it sounds like you’ve kind of come up against the same thing, you’ve noticed that as well. 08:00 Alexandra Dao: Oh, good. 08:11 Alexandra Dao: Right, right. 12:10 Alexandra Dao: Can you imagine this person who might be straight out of college who has a CEO telling them to do this, and that’s their first time doing community management, and they may be reading online that this isn’t the right practice, but they’re in a position where there’s such a power imbalance between those two roles, and I think a lot of people would be strong-armed into doing something that they know was not the right thing to do. 12:30 Alexandra Dao: We’ve all had those early career experiences where we didn’t feel like we could really fight back, and ended up doing something that we don’t really believe in, and feel pretty slimy doing it. [chuckle] So, for me in my career, I’ve always felt like I need to care about the company I work for, I need to believe in the product, I need to believe in the community, I need to believe in what we’re doing. And I’ve had the experience of one of my previous roles, we were beta testing with early adopters, and so I was very involved in the tech scene and getting people to try out this product. And it kind of pivoted into toolbar spam realm. And I was really not comfortable with it, and at that point decided as a community manager, this affects my reputation and I’m not gonna do that. So that’s when I knew it was time for me to leave that role. 13:16 Patrick O’Keefe: No, I totally get it. As someone who should probably keep his mouth shut sometimes but has to say something anyway in cases like that, possibly to my own detriment, I totally get it. And it’s funny, because I think there are people in this space… And this is just me speaking, not you, but I think there are people in this space who maybe make a lot of money off companies hiring low in community, and then make the money off seminars, and education, and coaching those people up. 13:39 Alexandra Dao: Right. Yeah, yeah, yeah. 14:04 Alexandra Dao: Yeah, yeah, it is. I can’t believe it when I see roles that are like $40,000, and it’s like, how do you expect someone to live in New York? And you’re a startup, so you probably want them to work a lot, [chuckle] late hours. And it’s just like the math doesn’t add up. It’s not sustainable. I don’t know… It’s so undervalued sometimes, and it’s frustrating. 15:22 Patrick O’Keefe: I totally sympathize. And one of the things that gives me hope is I really believe that community has a slower growth cycle, than say, other things that have popped up under different terminology, whether that be social media or growth hacking, or any number of other things. Community, as a profession, really started in the ’80s, people had that job. It wasn’t a ton of people, but it was people. And we’ve grown slowly. And social media manager, director of social media, that came later, and it had this big explosive pop. And I like to think and believe that we’ll have the opportunity to kind of outlast or be around when those things cool off a little bit, when social media is seen as more of a toolset, for example, like the telephone, and community is a strategy you apply to the tool. And so we’ll see, I could be totally wrong, and I’ll see ya, when you go to McDonald’s in a few years, you’ll see me there, I’ll get your Big Mac for you. 16:13 Alexandra Dao: I don’t think so. No, no. 16:16 Patrick O’Keefe: Not that it’ll be anything wrong with that. 16:21 Patrick O’Keefe: No, no, that’s cool. Yeah, my mom met my dad at McDonald’s. She was working the counter when he came in. So, that’s how they met. 16:57 Alexandra Dao: Definitely from what I’ve seen, it is easier to transition internally, and get that experience before you move on to the next role. 17:05 Patrick O’Keefe: It makes sense. 18:21 Patrick O’Keefe: Jack, Jill, neutral, it’s all fine, don’t worry about it. 18:43 Patrick O’Keefe: No, I think there are some interesting points there. I really think there are some interesting points that you made, and I’ll kind of pull them out one at a time, because I think there are some really good points there. You mentioned classes, and I think we have this in the community space; we have classes and seminars, and certifications and these things. And the important thing is never to think that those things are gonna get you a job, look at them as something that helps you enrich yourself and adds to what you know as a professional. Because the reality is name any community resource that has educational resources, they mean nothing to hiring managers. No one knows what they are, they haven’t heard of them. Those names, those brands mean nothing. The brands in our space that might be important to community professionals mean nothing to everyone else, so it’s not like it’s going to Harvard. [chuckle] You didn’t get an MBA from Harvard. You went to this community resource and the information might be valuable, but that’s not gonna get you a job. So, it’s funny, I think that’s a great way to broaden your skills is to take a General Assembly, or to take some sort of seminar. But just be real about what it is and what it’s gonna be to your career. 19:42 Patrick O’Keefe: I had an interesting conversation with someone recently… And I don’t wanna be in influencer marketing, so let me just preface by saying that. But we were talking to a company, he introduced me to a company that does influencer marketing and maintain sort of a community of influencers, if you will. So this community, it talks to one another and they stay connected, etcetera. And he said, “Well, really, you’ve been doing influencer marketing.” And he said, “You know, you have these communities that attract the most influential people in that space, the people spending the money.” These enthusiast communities attract the people spending their money on those hobbies, they’re very influential in their space. And when you said about storytelling and how… I think some community professionals… And I know, I struggle writing my own bio. We can be great telling stories about other people, but not ourselves. So I feel like maybe it’s great… Like, in your case, if you wanna transition to user research or customer insights, talk to a friend who does that, and let them kind of shift your experience in a positive way on this end, because they know the vernacular, right? 20:38 Alexandra Dao: Yeah, exactly. I agree with that completely. Because I think when you’re in it, it almost becomes… It’s like second nature. We all know, we have our own language in community, and that is the same for every other discipline. And so you want to have those keywords, that resonate, in your resume, on LinkedIn, all of that stuff. But it definitely can help to have someone who knows you and knows what you’ve done, and who maybe can just, “Talk to me for 10 minutes about what you did in your role.” And then they can kind of translate that to what you wanna do. 21:04 Patrick O’Keefe: Yeah, that makes a lot of sense. Even if it’s influencer marketing, ugh. 21:20 Alexandra Dao: Oh gosh! Yeah. 21:34 Alexandra Dao: That’s like not any community person. 21:36 Patrick O’Keefe: Right, right. 22:21 Patrick O’Keefe: Something like that, yeah. But it wasn’t recently, it was a while back. 22:25 Alexandra Dao: Yeah. I completely remember that and was just like, “This is bonkers.” You can’t tell people that. And you should want someone who is also building up… I don’t know. Not that everyone has to be a brand or whatever, not that everyone has to be well-known in their space, but if they’re maintaining your blog, it only makes sense that they should have their own experience with their own blog, and that only helps… I don’t know. That’s crazy. 23:01 Patrick O’Keefe: I was like, “Well, I guess if you live in a certain area, 35 might be great for you. And in many places in America, you can certainly live on that, and certainly many people live on less.” But, wow! So limiting, so much exclusivity for so little money. 23:24 Patrick O’Keefe: Exactly, exactly. 23:26 Patrick O’Keefe: Well said. I mentioned comments in relation to the news media, and you had mentioned something about Vimeo, and how, yes Vimeo has forums, but there’s a lot of community engagement that happens in the comments of videos posted on Vimeo. And there’s this interesting difference in community between YouTube, it’s more mainstream, everything, come one, come all media platform. And Vimeo, sort of this more… I don’t know, artistic, more on average serious about filmmaking and about videography, and those sorts of arts on Vimeo. And I was curious to hear, how would you describe the comments on Vimeo and why are they that way? 26:07 Patrick O’Keefe: That’s really interesting, and I think it’s yet another case study of catering to something specific to a group, to a niche, to people who are into a particular version of something, and not just the whole thing. 26:19 Patrick O’Keefe: Vimeo, and this might sound like an insult, but it’s meant as a compliment. [chuckle] It was never gonna be as big as YouTube, and that wasn’t the point, no one wanted that. And that’s really how we talk about community problems on these massive communities. I don’t really see Twitter as a community, more of a platform, but we talk about abuse on Twitter, we talk about abuse on Facebook, on YouTube, on Reddit, and what happens with a lot of these spaces has already been solved by smaller niche communities in many ways, because they don’t have these problems, or it happened and they cut if off. And they said, “No, we can cut it off right now. We can just stomp on it, it’s over. Here’s the guideline, here’s the policy.” And it’s all removed. And they have the scale where they can do that. And I think that’s something about setting the message from the start, setting the tone from the start and enforcing it all the way through, and also being adaptable to challenges that come up, and being able to make changes and understand who you exist to serve and make all your decisions kind of go that way. 27:35 Alexandra Dao: Right, right. [chuckle] Yeah, yeah. There were some early decisions made around what we’d allow, what we wouldn’t allow, that arguably did affect how quickly we could grow, but also kept our community focused and positive. And for example, we didn’t allow gaming videos, unless it’s something where you might turn it into a narrative, [chuckle] that would be allowed, but just straight up gameplay… Partly because I think the bandwidth was… We were still a small company at that time and it was expensive, and we just felt it didn’t really add a lot to the community, and there was some backlash. And we have now since allowed gaming videos again, but at that time in the company’s lifespan, it kind of made sense to take a stand and say, “I’m sorry, we don’t really see artistic merit in this. And we need to focus on what will keep our company healthy and our community strong and healthy.” And the same with copyrighted materials, we were always a lot more vigilant about not uploading TV shows and movies, which we all know you can find a lot of that on YouTube. 28:40 Patrick O’Keefe: Yep, some would said that that was their golden ticket. 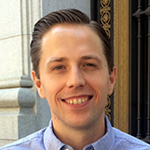 28:42 Patrick O’Keefe: Pre-Google acquisition was how they got that traction. Yeah, it’s interesting, those choices of standards, choices of conscience, choices that don’t necessarily have to be made, but are made because you’re trying to achieve something specific. But I love that point because it is definitely a choice that makes that slow growth in the short term. But all growth isn’t good growth, right? All growth isn’t what we want. 29:07 Alexandra Dao: Right, otherwise we would all have fake accounts on all of our platforms. Yeah, no, we know that, if anything, that actually can really poison your community, if it’s really quick growth. So before I became a community manager, I was active on forums and actually moderated one of them. And learned a lot doing that, and saw how there’s this balance of having your very active users who’ve been there a long time, and they might get really cliquey, and then you have new people coming in and how did you make them feel comfortable and welcomed, but then also some people don’t take kindly to an influx of new people. And it’s such a hard balance to keep everyone happy and to kind of maintain this equilibrium where it stays… The reason why people have stuck around and why new people wanna come, and doesn’t change too drastically. 29:58 Patrick O’Keefe: Yeah, I love these communities. I think that there’s so much that can be learned from them on a wider scale. That when I think about my foundational… And it sounds like maybe this might be the case for you, because that was probably early in maybe pre-, what you would consider your community career, but it’s certainly part of it. A lot of the things that I talk about now with everyone, with Fortune 500s, brand new people to this space. So much can be related back to just moderating, managing, launching, starting an online community. 31:11 Patrick O’Keefe: Those are your words. So, for community pros who love this, love what we’re talking about, wanna do this, they’re at a company like Vimeo, not part of the process. How should they make that first start? How should community pros build usability testing into their processes? 31:24 Alexandra Dao: So I think, (a.) it helps you kind of get involved in product early on and get an early look at things. So, strategically that’s helpful if you know that you’re gonna be responsible for applying to everyone once it’s launched. [chuckle] It’s nice to feel like you have a stake in it, and maybe helps raise some flags early on, which is part of the reason why we started doing it at Vimeo on the community team, we wanted to be a little more prepared before things launched, because we’re launching to millions, so people are gonna have a response. And people love change, so… [chuckle] Wasn’t always positive. 31:57 Alexandra Dao: So for people who wanna get started, I think it doesn’t have to be expensive to do by any means, and there are tools out there that also make it really, really easy. We actually use usertesting.com for some of our usability testing. So we kind of see our platform as both the creator side, which is people who are uploading videos. So we have a whole bunch of tools for managing videos. But then, there’s also the viewing side, people who just come and watch videos. So something like the viewing side, we don’t necessarily need to have usability testers who are uploading videos, who understand our product, who use the product. It’s also helpful to know someone who’s fresh to Vimeo, what they think of it, what they understand how everything works, and they understand what everything is. So user testing is great because you can recruit. They have their whole user base of people who get paid a little bit to test. So they are kind of like professional usability testers, which is not ideal. But it is a really quick way to kind of dip your toes into usability testing, where you can say what region, all your demographic information. And then they self-moderate, you just watch the videos and you can take your notes. So that’s a really great way to get started. 33:04 Alexandra Dao: Users also just love coming into the office. So if you have the bandwidth to bring people in… I think the way I got started with usability testing was we were working on this new onboarding flow, which never made it live unfortunately. But, it was part of those conversations, and at some point I said, “You know? This will probably be really good for us to do usability testing on.” Kind of timid because no one had talked about usability testing before in any of these meetings. And our head of product was like, “Would you wanna do that?” And I was like, “Yes, I have done this before, I would like to do that.” So I think it is a lot easier to argue for something if you’re willing to kind of step up and do the work, where it’s really just, “Let me handle this, and then let’s see. Let’s just try it out, I’ll talk to you in two weeks with the results, and we can decide if this is useful for us to continue doing or not.” And usually people will find it useful. 33:52 Alexandra Dao: And the nice thing about usability testing is you really don’t need to talk to a whole lot of people, I think there’s this graph that kind of shows if you talk to five people you’ll probably find like 60% of usability problems. And if you talk to 10 people you’ll find like 80%, or something like that. So, really what you’re looking for is what comes up over and over. Because if you’re only talking to 10 people, or eight people, and three of them say, “Oh, I thought this button would be over here, I wasn’t looking for it there.” Guess what? When you release it to millions of people, or hundreds of thousands of people, or thousands, a certain percentage of them are gonna think that as well. So, catching those little things before you launch a product is really, really helpful. 34:31 Patrick O’Keefe: It’s interesting because usability testing, one great thing about it is that you’ve got hard numbers for it, right? This is true for split testing as well, I don’t know if you group that in to the work you do or not? 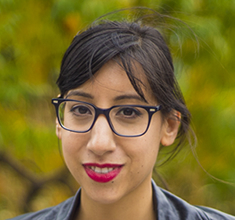 34:41 Alexandra Dao: Like A/B testing? 34:42 Patrick O’Keefe: Yeah, like, “This is the color of this button.” You have a set metric, when the button is to the left, 60% more people click on it. And how much more does that translate as far as page views, time on the site, conversion if you’re in e-commerce, or whatever it may be? There’s hard numbers to these things, where I think you can probably become addicted to the point where you’re like, “Well, what… ” There’s a test everything mantra, right? There’s mantra of test everything, but maybe there’s things that, maybe we don’t need to test that, because we’re testing everything else. 35:07 Alexandra Dao: Yeah, yeah. It gets to the point where definitely I have a backlog of things that we wanna test at Vimeo, which is a good thing, but also I’m gonna be really busy this month coming back to work. [chuckle] So definitely, once I join the team, we were already kind of doing some usability testing, but since I could do it almost full-time, I still am trying to learn surveys and to have a balance in what I’m doing. But the demand is there, and if you have your product team onboard and they are happy to do usability testing, which they should be, because really I think a lot of companies use it as a tie breaker, or if you’re having kind of arguments internally about what the best way to do something is, this is just evidence. And whatever argument, whatever side, they can help you just move forward and say, “Okay, this is what our users told us.” And it’s hard to argue with that. So I think a lot of times it is used as decision making, [chuckle] when there might be people arguing two different sides. 36:50 Alexandra Dao: If you’re doing four prototypes, I’m sure there’s a different number you’d wanna do. But at the end you could say like, “Okay, this one won.” Or maybe it wasn’t a clear decision, so it actually doesn’t matter that much. Or we could decide based on design, because these two were so close. So where do we want it to go? Where do we think it looks better? Whatever. So, I’m biased, but I think it is a very helpful thing to do. 37:11 Patrick O’Keefe: It’s like, “Should you listen to people? Yes, no?” That’s really it, right? Because usability testing, it doesn’t have to be that, like you just said, or it’s not that overwhelming. If you have no money, you get five friends. If you have a community of users and you’re launching something new, you can pull from the community. Just to get feedback from people before you do something can stop catastrophe. [chuckle] It can stop, literally, the fall of the company. 37:33 Alexandra Dao: A bad launch is a nightmare for everyone, so anything you can do to prevent that. And really, it could be going to Starbucks and bringing $5 Amazon gift cards and just bugging people, or going to the park. It doesn’t have to be a crazy structured thing, it could really just be talk to people or show them the thing, see what they think, take notes, assess the results. [chuckle] It can be as complicated as you want it to be, but it doesn’t have to be. 38:00 Patrick O’Keefe: Alex, this has been a really good conversation, a lot of fun. Thank you so much for coming on the show. 38:04 Alexandra Dao: Thank you for talking to me, this has been… Yeah, I’ve really enjoyed our chat. This has been fun. 38:09 Patrick O’Keefe: We have been talking with Alexandra Dao, senior manager of research and customer insights at Vimeo, and co-founder of the great We Support NYC. Find them on Twitter @wesupportnYC, and subscribe to their weekly newsletter at bit.ly/wesupportnyc. You can also follow Alex on Twitter, @alexdao that’s A-L-E-X D-A-O. For the transcript from this episode plus highlights and links that we’ve mentioned, please visit communitysignal.com. Community Signal is produced by Karn Broad, and we’ll see you soon.